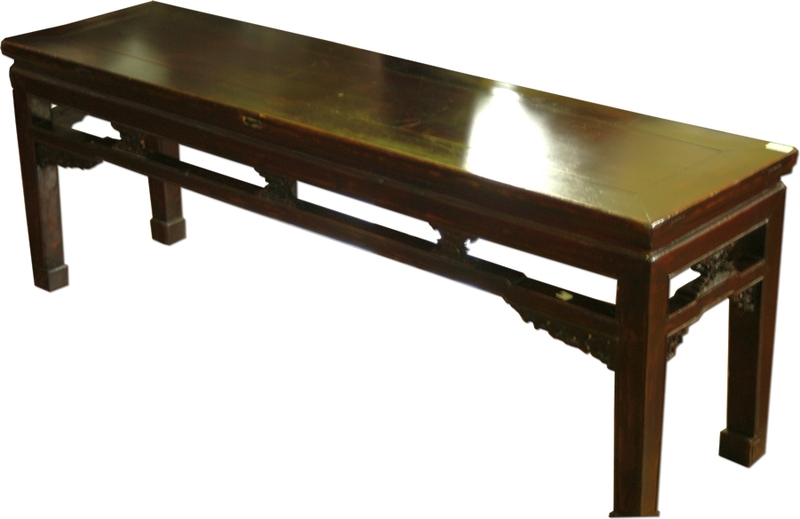 This beautiful long bench was made in Anhui province in the mid 19th century. It has delicate carving and horse-feet legs. The top is plain with a beautiful sheen. This would sit beautifully a the end of a bed, behind a sofa with a lamp on, or to use as a coffee table, another idea would be to place it in a hallway. A practical but stunning piece to add mood and a hint of the orient to your home.